The most exciting time for iOS developers and users is about to come! Yes, what else can be as compelling to them as the new update from Apple. You got it right. I am talking about upcoming iOS 13 beta that is expected to unveil during the WWDC, in June 2019. Apple releases the major update of iOS every year. It has been about a year Apple rolled out iOS 12 on last 17th September 2018. iOS 12 focused on under-the-hood improvements such as streamlining the notifications, ensuring smooth performance of OS on older devices, and measuring screen-time management. 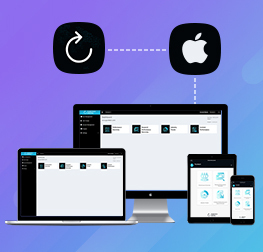 Being one of the leading iPhone app development companies in USA, Credencys was the early adopter of iOS 12 and will be the first for accepting iOS 13. Now, Apple is all set to unveil the beta version of the new operating system for iPhone and iPad devices in the autumn and then a final release in the fall. Updated OS will introduce numerous advanced features that allow for innovative iOS app development. I am going to shed light on the anticipated features, release date and device compatibility of the iOS 13 in this post. Let’s start with a list of the expected new features. 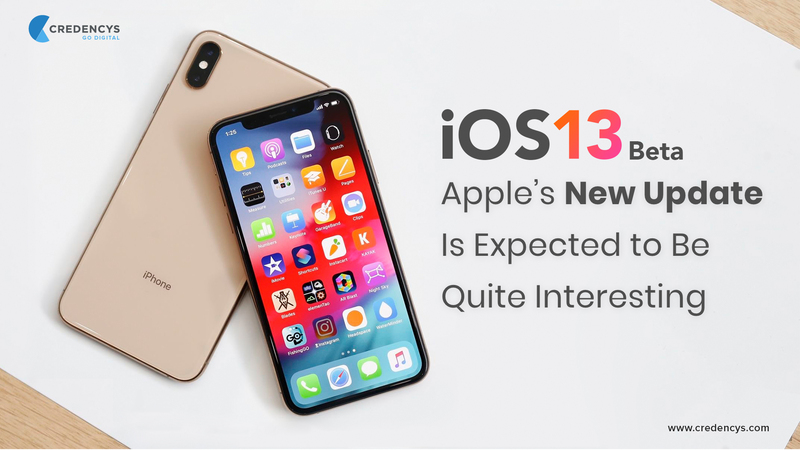 As per the early rumors, iOS 13 will involve varied advanced features related to interface, emoji, Siri, and other long overdue changes and update. All the top iPhone app development companies in USA are eagerly waiting for the new release of Apple. This is one of the highly demanded features from iPhone users. It seems like finally, Apple will introduce long-rumored “Dark Mode” in iOS 13. This feature is already launched for macOS at WWDC 2018. According to Bloomberg, iOS 13 is going to introduce the same feature for iPhone and iPad in the upcoming WWDC. Users can enjoy easier nighttime viewing with the darker color theme and save the battery consumption too. In iOS 12, Apple improved the appearance and of the Siri and added shortcuts. In the upcoming iOS 13, it is expected that Apple will allow users to accept or reject the call. If the user declines any call, the Siri will automatically send a personalized text message to the caller that explains the reason for the call is being declined. Apple is planning to launch a new home screen for iPhone and iPads. But, there is no clarity on what type of improvements the company is planning to introduce. Also, there is a rumor that CarPlay will get a new home screen. 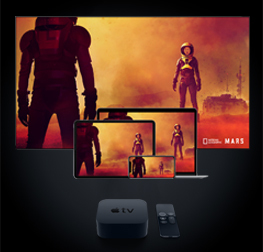 Another rumor floating around the developer community is, Apple plans to introduce cross-platform features by merging iOS and macOS together. It allows developers to deliver a consistent experience and easily scale the app between macOS and iOS. This doesn’t mean that programmers can build a single app that performs exactly the same on both the platforms. It allows to build an app that looks and acts the same on both the platforms. Leverage iPhone app development embracing the latest updates of iOS. Currently, while iOS users press the volume button up or down, a popup appears at the center of the devices. It seems quite annoying to many of the users and they complained to about the redundantly big volume control screen. According to a rumor, Apple is going to change the volume popup interface in iOS 13. It may be presented in a vertical slider view that may appear next to the volume button. Yet, there is no word out, whether the same the volume controls will be used for notification, ringer, and media sounds. Apple has already filed a patent to enable users with the availability status of their contacts. This feature helps users to identify where their contacts are. Also, it allows users to track whether the contacts are available for communication and operating status of their iPhone. Users can access this information in the Contact app. It is expected that Apple is going to introduce this feature in the new update where users can track the availability of the contacts for conversation and their current location. It is expected that Apple will double the length of the video from three seconds to six seconds that is attached to a Live Photo. iOS users complained about the emoji search. They feel the existing search is not user-friendly. For example; if you enter fork and knife in the search bar, you won’t be able to see the emoji you are looking for though it is already there. The reason is, the default name of emoji is dinner. Apple is planning to address this issue by launching smart emoji search functionality in the newer version. It’s not always the case that the iPhone is operated by a single user. There are possibilities that the device is shared with other users for different purposes. So, iPhone users were demanding to access multiple user accounts on a single device. It is expected that Apple will introduce this feature in the new update. 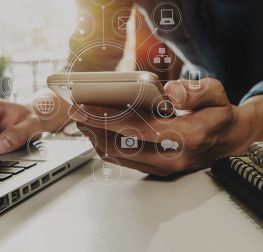 Smart Wi-Fi enables users with a number of elements that involve prioritization of stronger Wi-Fi connections. It automatically turns on and off Wi-Fi connection as per the location. It remembers the location of known networks and activates them. When users leave the area, the Wi-Fi network turns off in order to save battery. Thus, it helps users to identify the internet connection with better speed. When it comes to smart Wi-Fi, Huawei holds the first position. According to a floating rumor, Apple is planning to launch this feature in the upcoming iOS 13. Apple is having a predefined pattern of releasing the latest update. The first release is developers’ beta version, then the public beta and later on the final version. Just like every time, the pattern will be the same for iOS 13 too. June 2019: Apple will launch the beta version of iOS 13 in the WWDC 2019 where they introduce the latest version and devices to the developers. July 2019: Beta version of the update will be available to iPhone users who sign up. Later on, the beta will be released with improvements suggested by the users. September 2019:The final versions of iOS 13 will be released for all iPhone users. The release of iOS 13 beta is just a couple of months away. 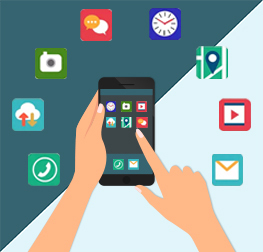 Credencys, a leading iPhone app development company, provides a complete range of iPhone app development services embracing the new updates from Apple. We have a team of 50+ iOS developers who are excited to explore and adopt the new features introduced by Apple. Let’s wait for the official release of iOS 13 and enjoy the new offering of Apple during WWDC 2019, in San Jose, California.